4-pack cabinet door earthquake fasteners with PEEL-N-STICK high bond adhesive applicator. Now you can install latches throughout your entire home, lab or office in minutes! Seismo Latch latches remain open until triggered by the movement of an earthquake. Ingenious engineering, quality fabrication and simple installation. 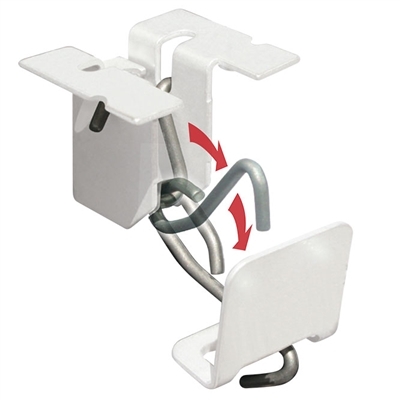 Each Latch can withstand pressure up to 50 lbs. Clean - Peel - Stick. No drilling. Easy to install.